Thank you SkinSoul for the goodies! Never heard of the brand before but the results speak for themselves. 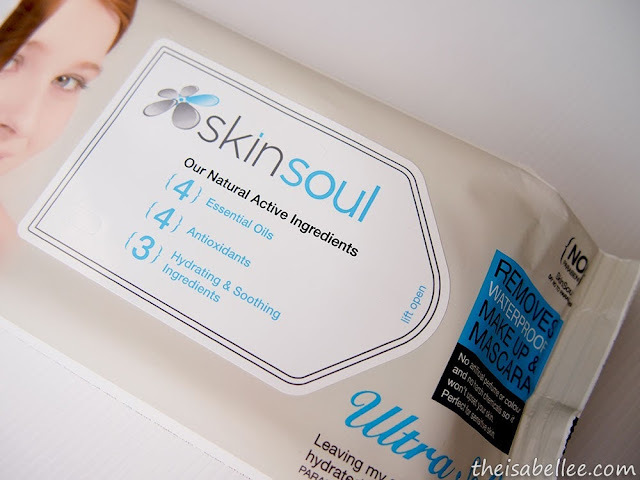 Before I talk about the skincare, I want to share about their Ultra-Soft Facial Towelettes first. 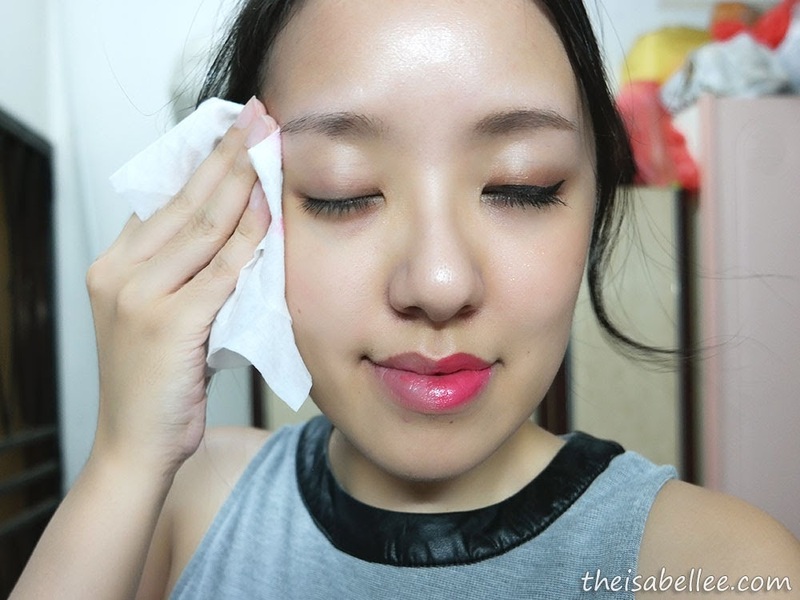 After all, you must clean your face before you apply skincare right? It comes in a simple pack like this. I would have preferred a plastic cover like Cetaphil's Cleansing Cloths so that it'll be easier to open and close though. With 60 wipes in a pack, I would like them to stay moist until the very last piece! A bit skeptical that this 1 piece can remove all of it. "Removes waterproof make up and mascara" - can you realllyyy? Ta-da! You really really can! Ok to be fair, the mascara was a bit tough since the sheet is not super wet until you can soak your lashes. It can probably handle even heavier makeup. No stinging sensation in my eyes and my face loved it! It was non-drying, so soft and relaxing. Wrap the sheet around your finger and use it to extract blackheads and whiteheads. I promise that they will pop out much easier and it doesn't hurt as much!! While you're removing your lip makeup, do little circular motions to exfoliate the dry skin! 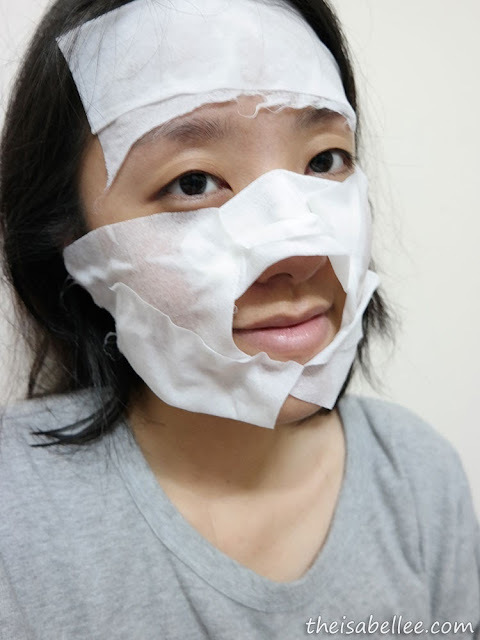 This one was suggested by Chong Ming from SkinSoul so I tried it LOL #YOLO Tore up 2 sheets to make a (ugly) facial mask. Had some problems with the fit obviously and it got a bit dry so I smothered it with the SkinSoul lotion for that extra oomph. Okay.. not bad.. a makeup wipe that somewhat doubles as a mask. I actually think that less/no makeup looks better on me. Don't you agree? Which is why I love returning home to wipe them all off with my SkinSoul Ultra-Soft Facial Towelettes. Dunno why but they are a bit cooling too which helps me to relax. Looks like it's very effective! 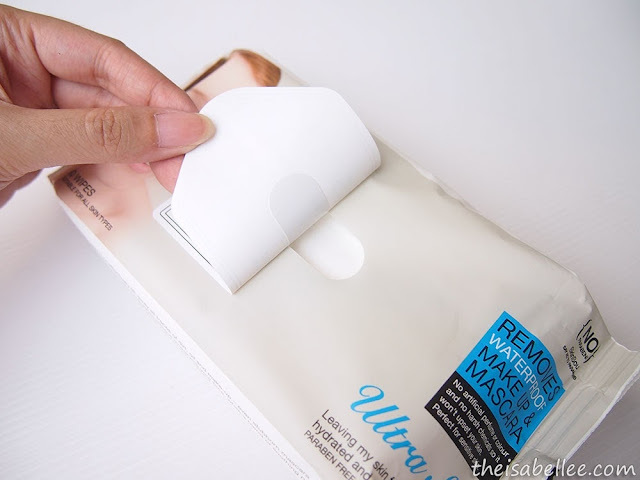 I love their towelettes too as removing make-up so easy now. I love the effect too. Got to adore facial wipes, definitely one of the fastest ways of removing makeup. Plus this looks rather effective Isabel and the price is great too. I like their facial wipes... 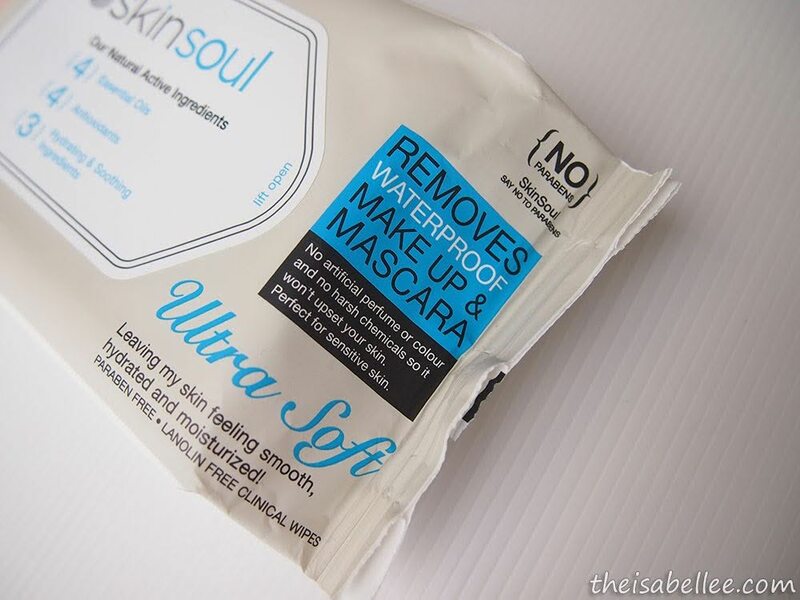 It wipes off make up like magic! Great product! 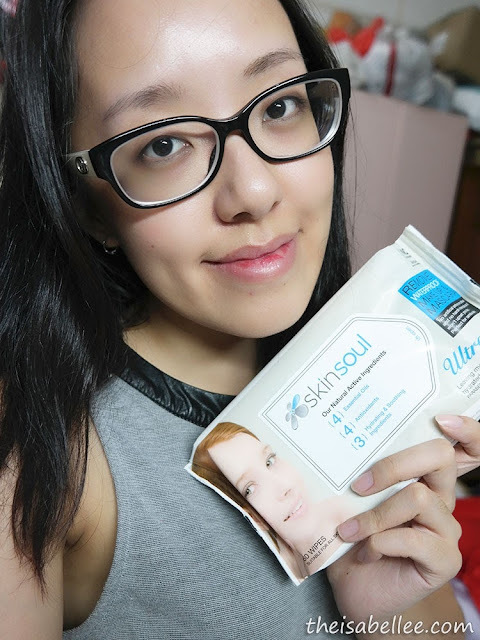 try SkinSoul before, really amazing !! They are looking very gentle to the skin and not those dry types. This product quite famous now and look like effective too! seriously wish i have skin smooth as yours. where are your pores? skinsoul sure works for you too. 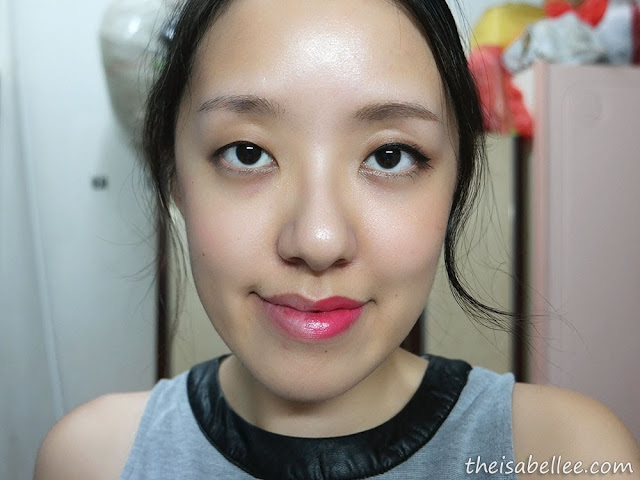 you are blessed with beautiful skin, which doesn't need heavy makeup to conceal any flaws. Yes, i do think less or no make up is perfect for you Isabel! I tried this for myself and it is great! I love how it immediately removes all the gunk on my face! The towelettes look extremely convenient and effective. I love that it's inexpensive.